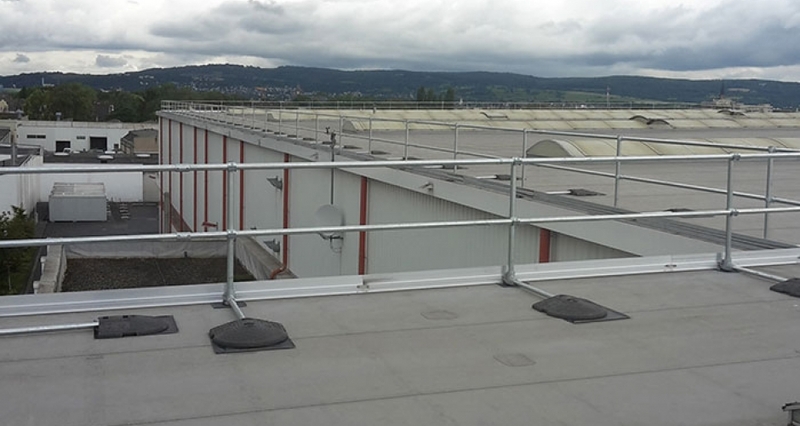 KEEGUARD free standing roof edge protection and KEE GATE self-closing safety gates have been installed at the ArcelorMittal plant in Germany. 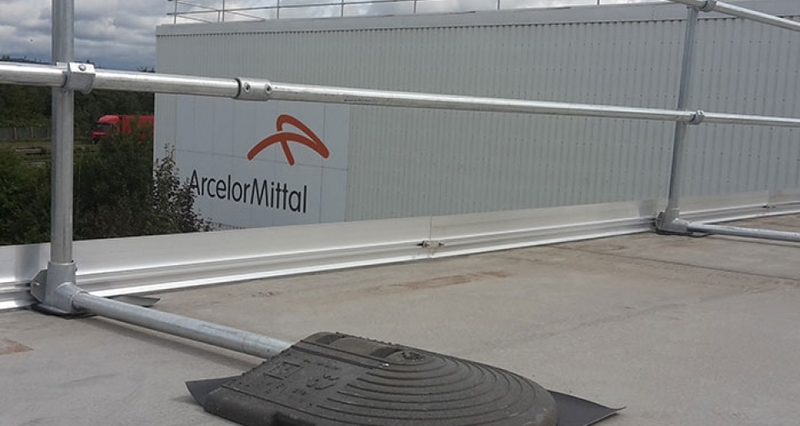 ArcelorMittal is a multinational steel manufacturing corporation and the world's largest steel producer. 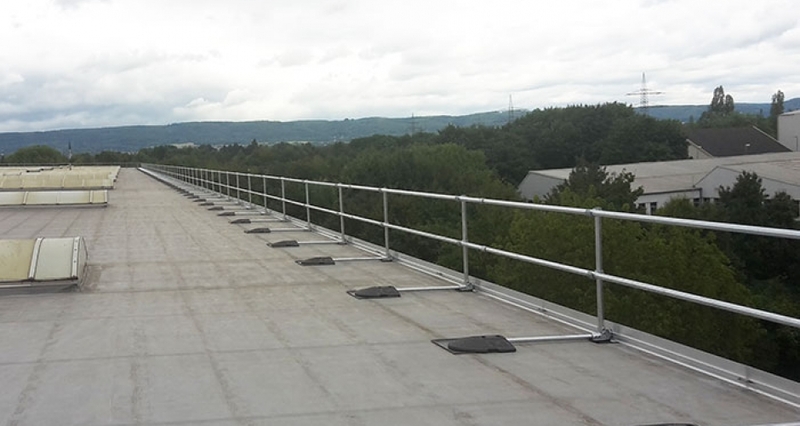 ArcelorMittal wanted to secure a roof with a Collective Fall Protection Solution, to provide safe access for a team maintaining skylights. 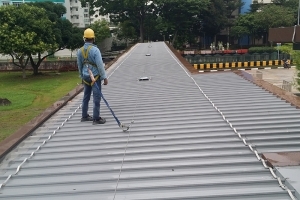 The roof is access by workers maintaining skylights only. 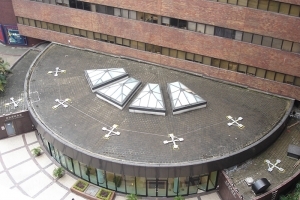 The skylight maintenance team uses a special platform to secure themselves when maintaining rooflights, so no skylight protection was required. 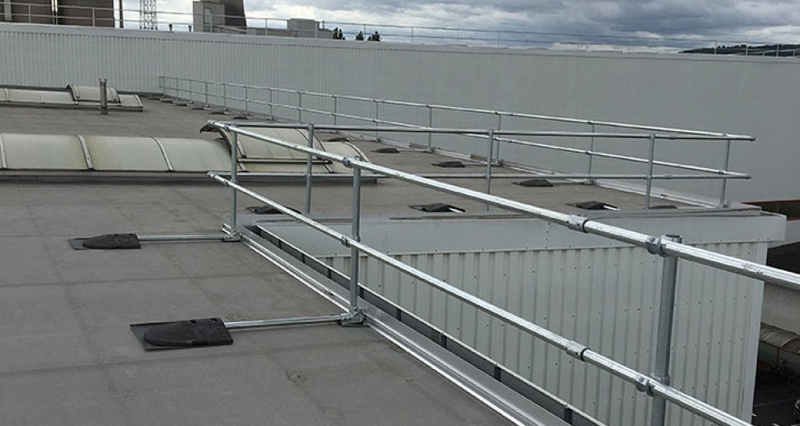 The team builds a platform, attach personal protection equipment (PPE) and moves it from skylight to skylight. 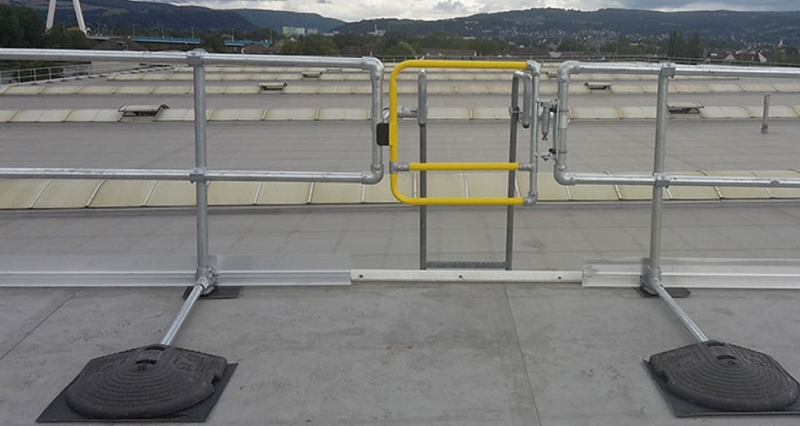 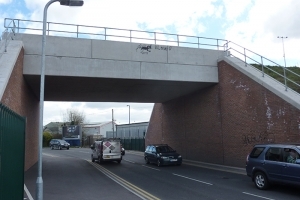 930m of the KEEGUARD system and 6 KEE GATE self-closing gates were installed, the installation took 4 days.